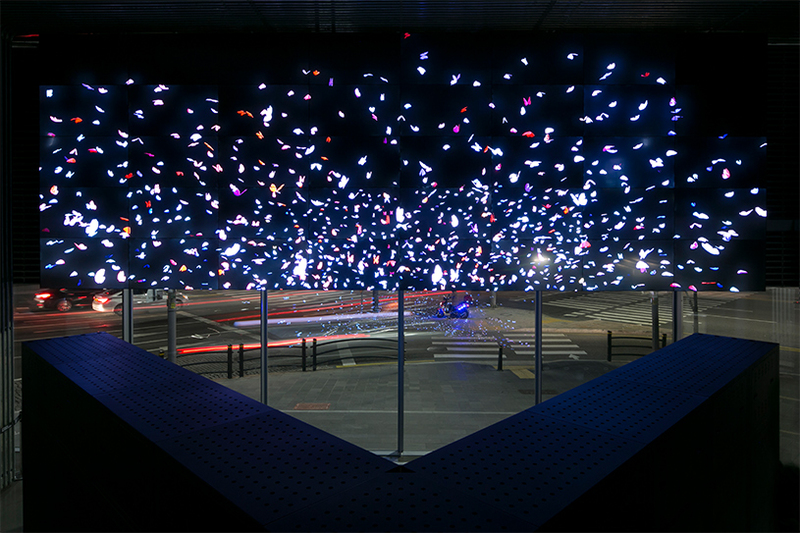 Joining the natural organisms that represent life itself with a lifeless machine in a virtual space, this piece presents a new, visual living phenomenon set in motion by the user’s very heartbeat which give’s testimony to their being alive. The piece consists of three apparatuses, which represent the above-mentioned three elements: the HEART, the NATURE, and the MACHINE. The beating of the user’s heart, as captured by the HEART, gives life to the NATURE and the MACHINE in the form of motion. Blended through that motion, machine (non-living) and nature (living) are reborn as a form of movement, creating a new living phenomenon. 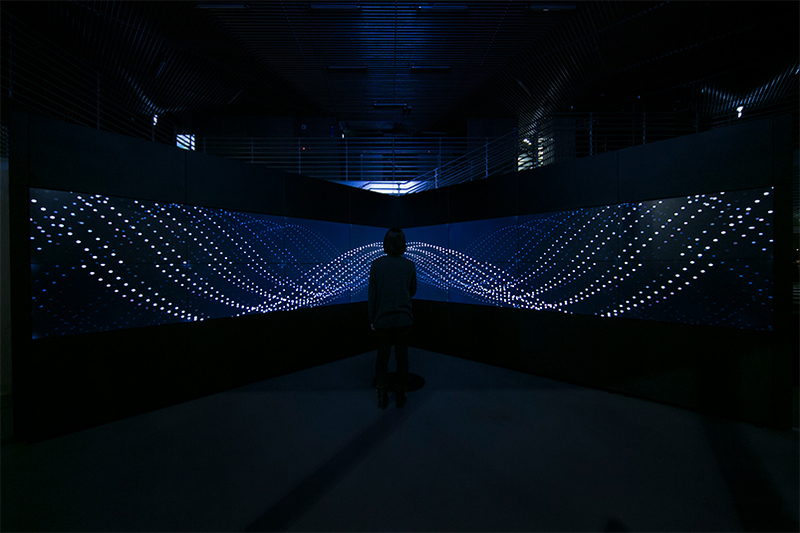 This cycle weaves a singular and individual tale of life, death and rebirth, drawing unique movements every time, based on the user’s heartbeat and machine/nature algorithms. The HEART is an interface device which uses an infrared sensor to gather data on the user’s heart rate from the palm of their hand and then vibrates in sync with that heartbeat. 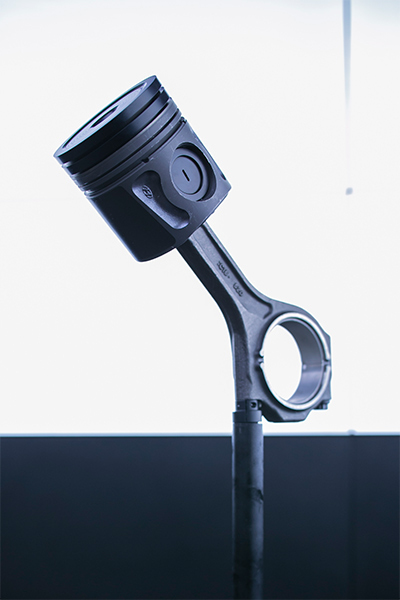 The shape on the upper end is built from an actual engine piston, the heart of an automobile. 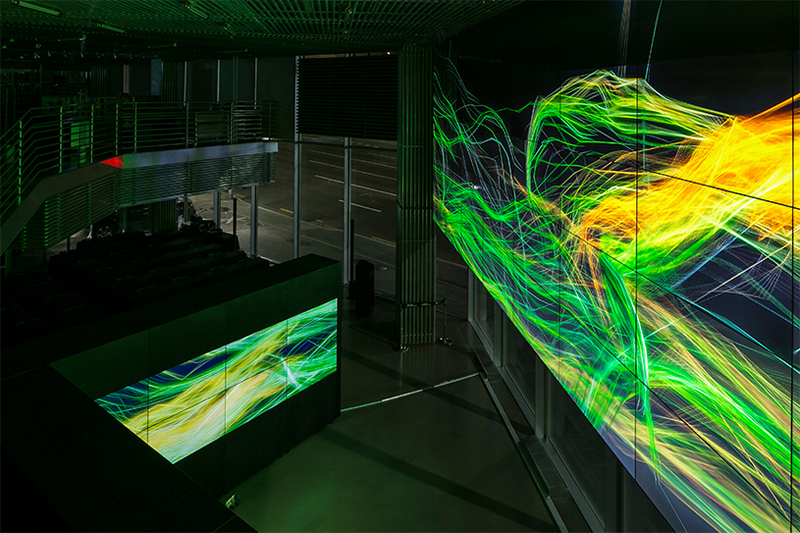 This “sensor sculpture” is the origin point for the movement of the this artwork’s living phenomenon. 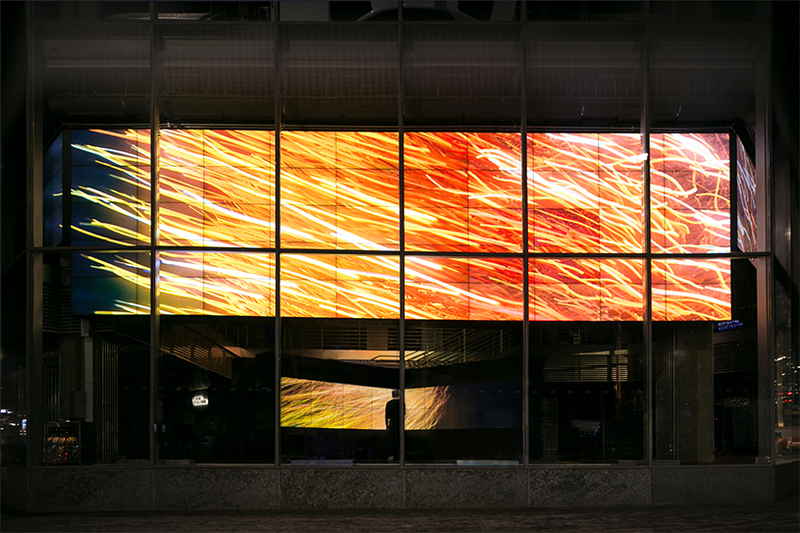 The NATURE is a massive monitor which creates a visualization of the movement of life-forms in the natural world. Using the heart rate data gathered by the HEART, an artificial life simulation program called Boids generates bodies of movement similar to that of groups of life-forms such as birds and fish. While each individual organism is set to move according to some simple rules, they create a whole which moves in extremely complex patterns. Boids is an artificial life program developed in 1987 by Craig Reynolds, an American animation programmer. 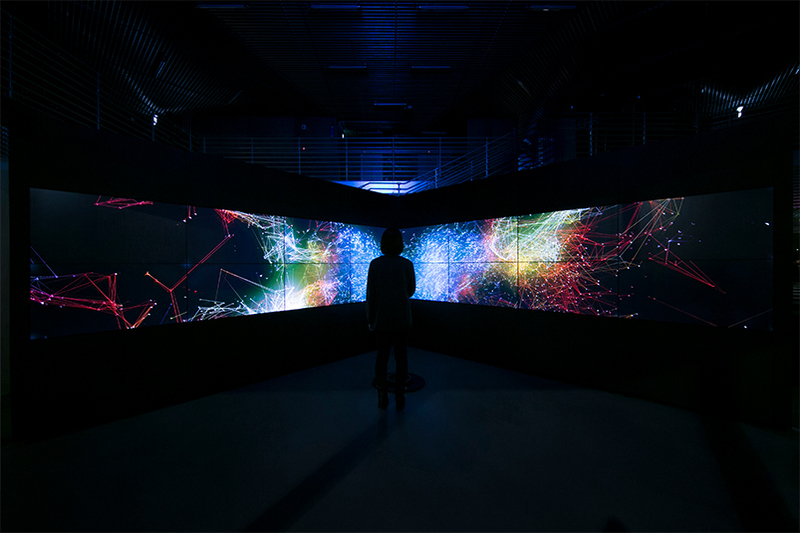 It simulates the movement of a group of individual life-forms, such as a flock of birds or a school of fish. In standby mode, it displays a trigonometric function (sine and cosine waves) related to the circular movement of the engine piston. When the HEART detects a pulse, both waves synchronize with the heartbeat, shifting from a systematic cyclical motion to dazzling fluctuations and creating movements similar to a group of organisms.